Amazing ocean views from great coastal spaces. Off white slipcover sofas and raffia arm chairs are set off with a bright pop of coral in the throw pillows. This coastal Living Room has an amazing ocean view. 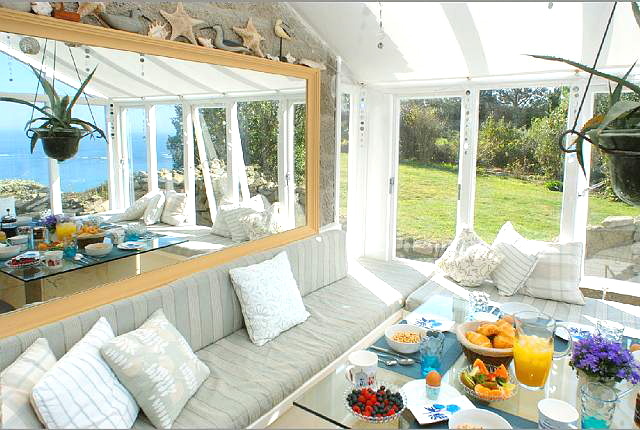 Coastal spaces with breaking waves just out the window. White slipcover sofas, coral pillows and raffia upholstery combined with the beautiful ocean waters creates a bright coastal color palate. Gorgeous cliff side ocean views from this open breakfast room. 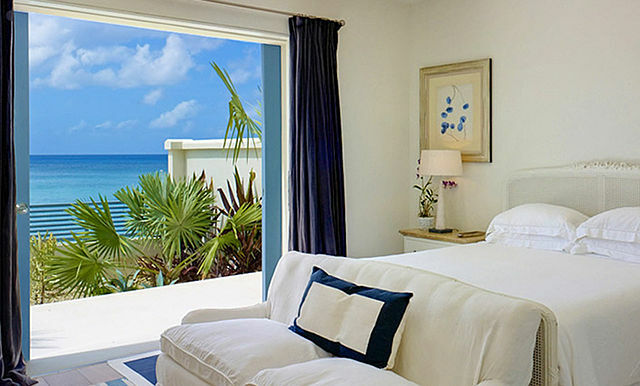 Cobalt blue and white coastal bedroom with ocean breeze and tidal views.